Make a list of all of the changes of state you can think of. Changes of state examples are snow melting to water or the kettle boiling and water to steam. Ice melting to fluids. 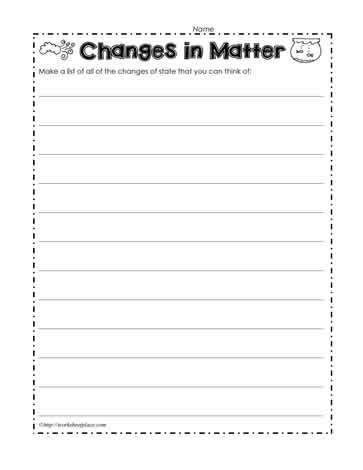 Let students brainstorm as many changes of state in matter that they can think of in everyday life.